Blogger Andrew Breitbart has been sued by former U.S. Agriculture Department official Shirley Sherrod who contends her reputation was damaged by Breitbart&apos;s posting last year of an edited video. The New York Times reports today Breitbart was served with the lawsuit at CPAC Saturday. Sherrod contends in the suit that a video clip he posted last year "has damaged her reputation and prevented her from continuing her work." Breitbart, who first posted the clip on July 19, 2010, at his BigGovernment.com site, had been under scrutiny after it was revealed the clip misrepresented Sherrod&apos;s message during a speech in March 2010 before a group of NAACP members. Fox then posted an online article reporting on the clip, linking to Breitbart&apos;s video. Breitbart did not seek comment from Sherrod prior to his report; Fox News also gave no indication that they had done so. She was forced to resign later that day. Why didn't Obama Stand up for Shirley Sherrod? 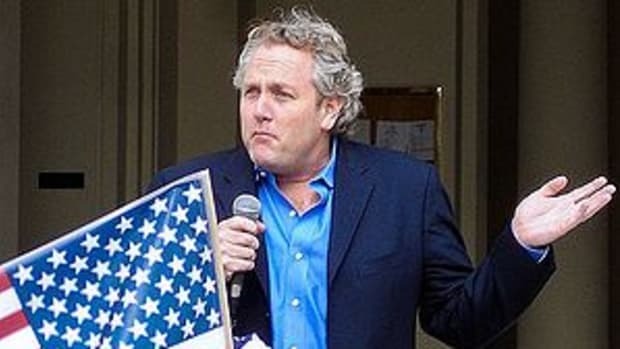 Should Anyone Feel Bad About Andrew Breitbart's Death?